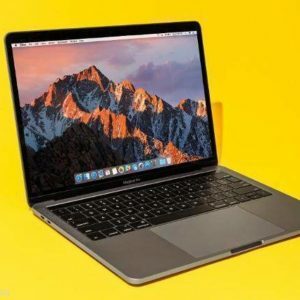 The Apple MacBook Pro 2017 versions come with Intel’s 7th generation Kaby Lake processors.Apple MacBook Pro with the 13-inch display will come with a dual-core Intel Core i5 processor clocked at 2.3GHz. 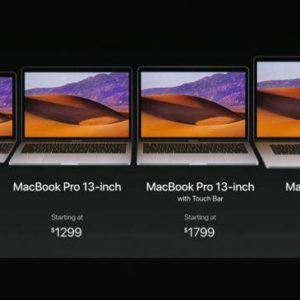 It has a 3.6GHz Turbo Boost option as well, having a 256GB SSD storage, Force Touch trackpad, 8GB of RAM, and Intel Iris Plus Graphics 640.Whereas the MacBook Pro 13-inch with Touch Bar and Touch ID comes with an Intel Core i5 dual-core, having a 3.1GHz clock speed, going up to 3.5Ghz Turbo Boost and a 512GB SSD, Force Touch trackpad and 8GB of RAM. Whereas the 13-inch Apple MacBook Pro with Touch Bar and Touch ID comes with an Intel Core i5 dual-core, having a 3.1GHz clock speed, going up to 3.5Ghz Turbo Boost and a 512GB SSD, Force Touch trackpad and 8GB of RAM.The 15-inch Apple MacBook Pro with Touch ID and Touch Bar on top comes with 2.8GHz or 2.9GHz quad-core Intel Core i7 processor, and 3.9GHz with turbo boost. It has a 16GB RAM, up to 512GB SSD and the Intel Iris Plus Graphics 630 GPU.